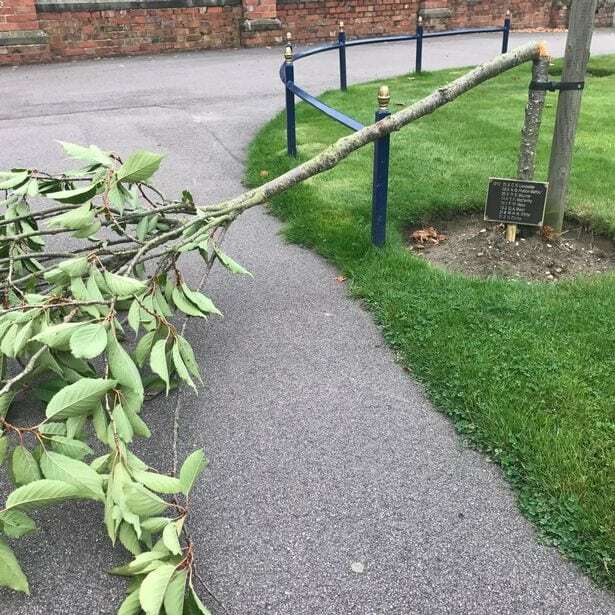 Police are hunting a mindless vandal who was captured on CCTV bizarrely snapping a row of trees planted at a posh school to honour their war dead. 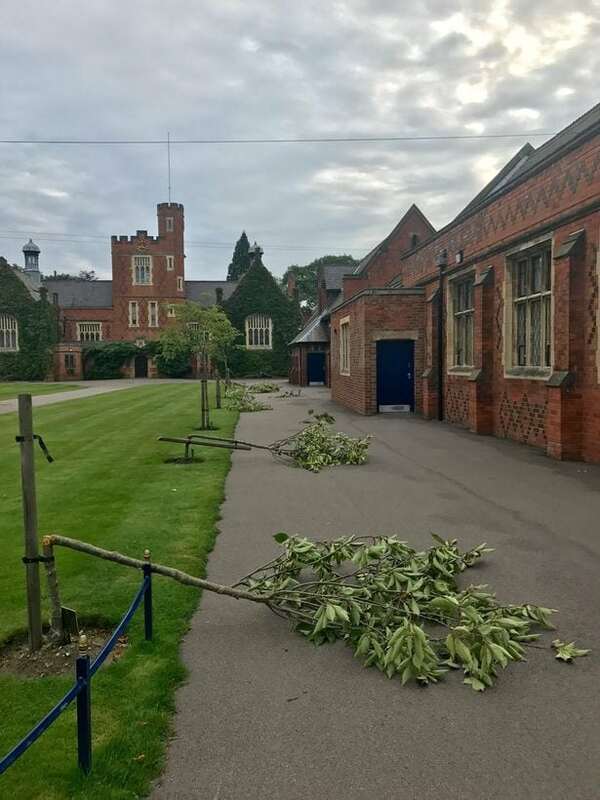 The yob was caught violently shaking the cherry trees until they broke at one of Britain’s oldest boarding schools on Friday night . 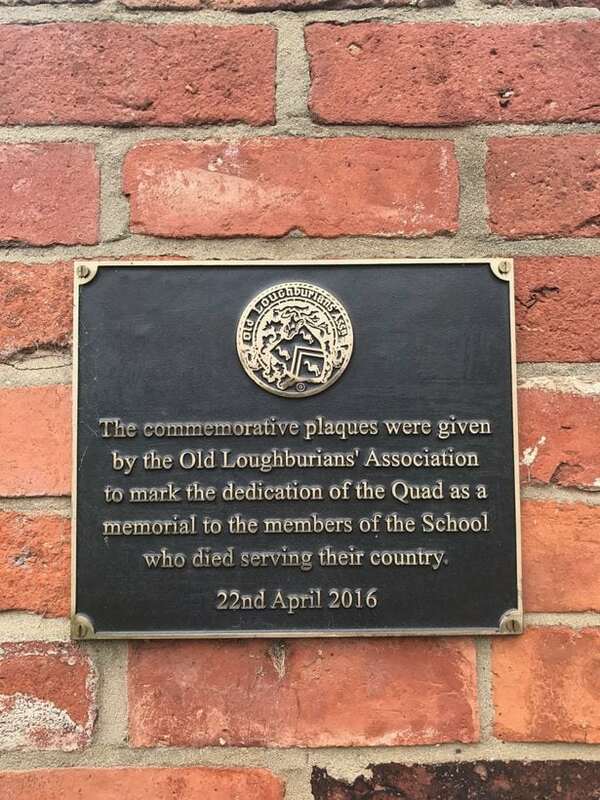 The memorial was planted eight years ago as as a tribute to former pupils at Loughborough Grammar School who had lost their lives in conflict . 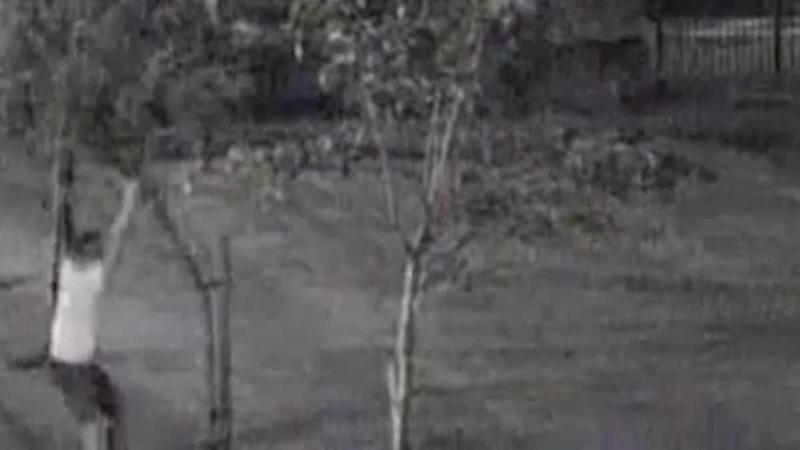 At around 9.25pm, camera footage captured the sozzled-looking crook damaging five of the seven trees before he leaves the grounds by scaling railings. The boys’ boarding school, which was opened in 1495, is now appealing to the public to help the police identify the vandal. Jane Harker, Head of External Relations at Loughborough Endowed Schools, said: “Staff and students, past and present, are heartbroken. “The trees are very precious to everyone in the school community. “Each has, at its base, a plaque which carries the names of fallen pupils. “Their presence in the Quad, at the heart of school life, serves as a constant reminder to us all of the sacrifice they made. The trees were planted eight years ago and were dedicated last year to mark the centenary of the death of a former headmaster’s son at the Battle of Gallipoli. Residents of Loughborough, Leics., have taken to social media to express outrage at the act of vandalism. Vera Poynton said: “Disgraceful, I wonder what is going on with some people. Paul Boyd said: “I can’t for the life of me understand why someone would go out of their way to do that. The white male, with hair shaved shorter at the sides and longer on top, was wearing a light-coloured t-short, dark-coloured shorts, white trainers and sunglasses. A Leicestershire Police spokeswoman said: “The matter has been reported to us and we are investigating. “It was reported on August 26 and it happened approximately 9.30pm the night before. “There was damage to a number of trees at the school.